Most everyone who has gone through a divorce will agree that the hardest part is dealing with child custody issues. Deciding who the children will live with a majority of the time can be a contentious issue, as parents are forced to make tough choices and compromise. Every decision you make during your divorce will affect your children, so you should take some time to address these issues with qualified Everett child custody attorneys. Eventually, both parties will have to come to a consensus on these sensitive issues or seek a decision from the court. For some parents, reaching a mutual decision would be almost impossible without help from Everett child custody lawyers to guide them over each obstacle. When you retain an Everett custody attorney from our law firm, they work with you directly to try and keep negotiations with your ex-spouse moving forward and make decisions with the best interests of your children in mind. This is made easier by the fact that we work with our Everett clients to establish a set of goals before negotiations begin. By maintaining the focus on your goals, our custody attorneys in Everett provide you with compassionate counsel when you most need it, so that you can get through this difficult time in your life. According to Washington law, divorcing parents are required to develop a parenting plan that they agree upon or a judge orders. The document will clearly identify which parent the children live with and the time they spend with the other parent. The Plan will also address major decision making on behalf of the children and how disagreements about the Plan between ex-spouses are handled. Crafting this agreement can be tricky, and our Everett child custody attorneys will work with you to create an agreement that puts the interests of your children first. Negotiations with the other parent are vital during this process and while this is not always easy, our Everett child custody lawyers will be at your side the entire time. 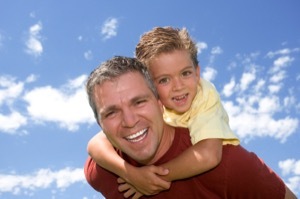 Our Everett child custody attorneys have witnessed firsthand how difficult creating a parenting plan can be. However, our experience in this arena will help you as you formulate an agreement that will directly impact the rest of your child’s life. Our Everett child custody lawyers help you design the parenting plan first while focusing on the goals you initially set forward, and when an agreement is reached we draft the final Parenting Plan which will be signed by the court. Creating a parenting plan is just one aspect of your divorce proceedings. However, if child custody issues are on the agenda then you shouldn’t take any chances with the outcome. Your future, and that of your children, will hinge on the actions you take right now. Contact our law office today and speak with one of our experienced Everett family law attorneys about child support, or about modifying your current child support plan.